This is a theme that makes our hearts beat faster! 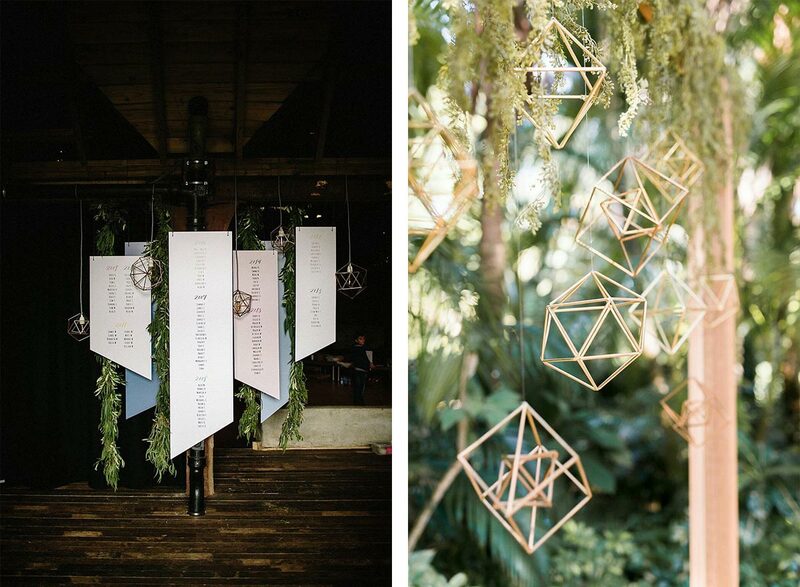 Hanging decor is for sure one of the decor types we love the most! In fact, we have to confess this obsession makes us always look for every single detail of ceilings, everytime we visit a venue. And when we find some wooden beams or other kind of structure that makes possible, we get very excited and we immediately start to imagine a thousand of possibilities and ideas. 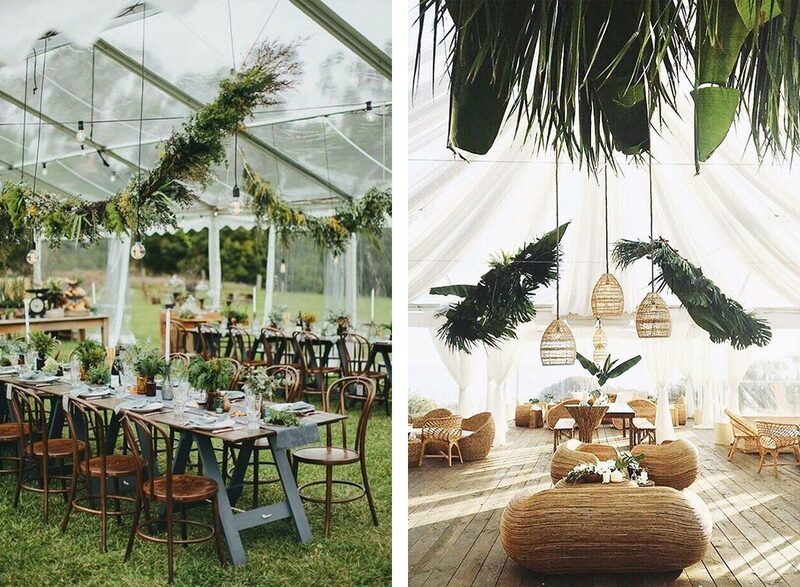 Wedding hanging decor makes us create cozy environments that are really visually interesting. 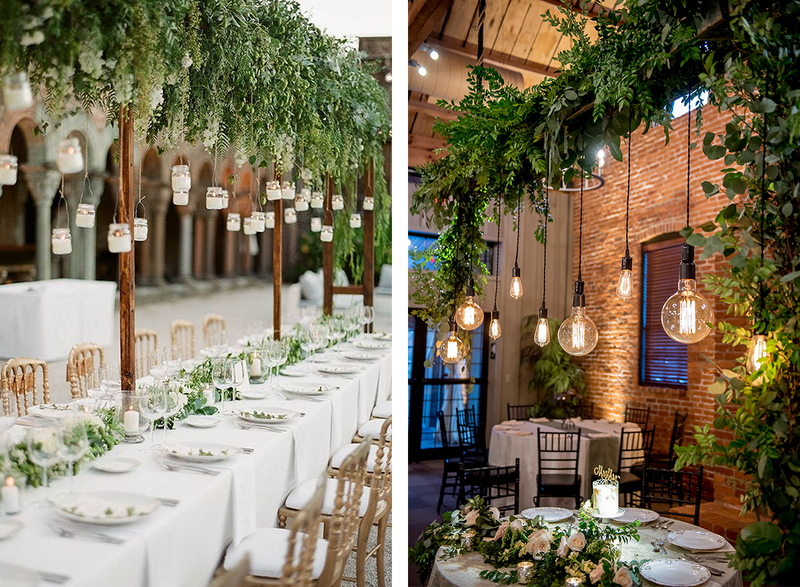 It may be more minimal or more complex, more or less voluminous, colorful or monochromatic, using only greenery or a blend between greenery and flowers and/or lamps. For that reasons, it perfectly adapts to any style or theme. 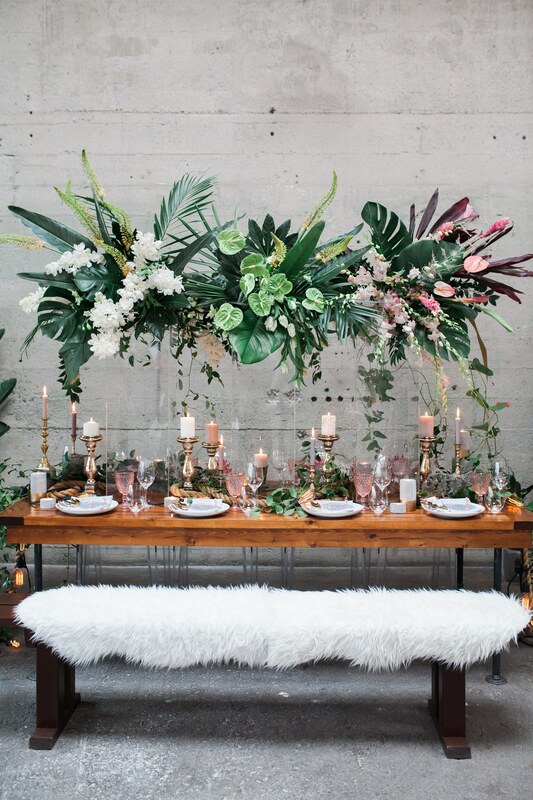 The most ordinary situation of applying this kind of decor is on top of the tables, that’s a way of completing the dinner styling. However there are other situations where we can use hanging decor. 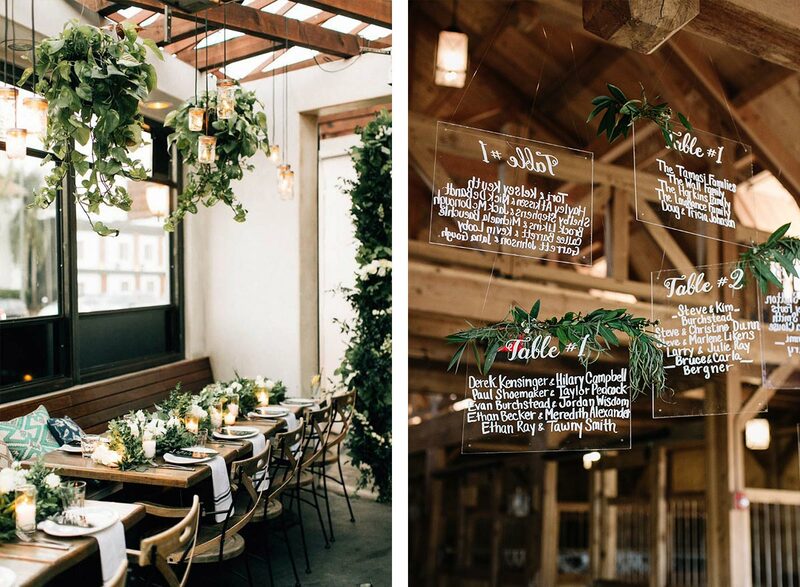 For example, a seating plan is a perfect element for a creative and irreverent approach. 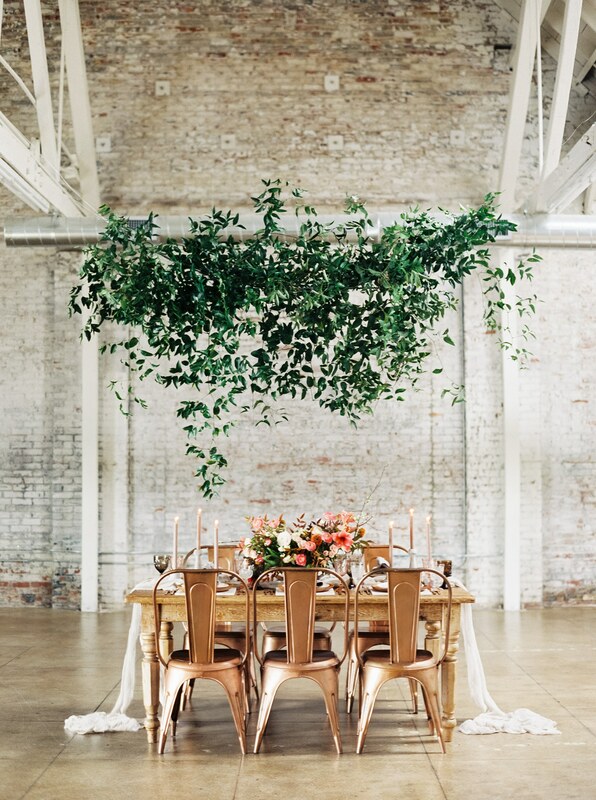 What about an hanging seating plan? We are big fans of this idea! On the other hand, there also have many options for outside parties. 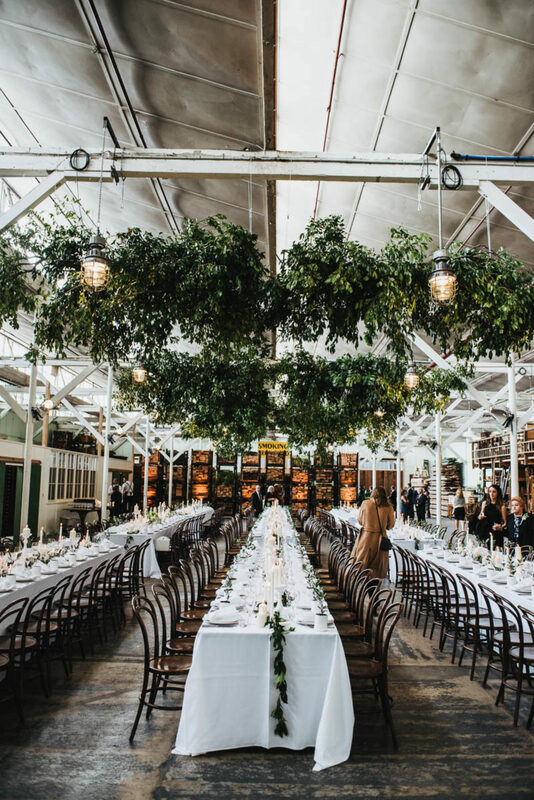 It’s possible to design structures where we can hang and fix decor or lightning. That’s also pretty smart to use some outside structure already existing or even the trees. In fact, there is no limit to imagination, the important thing is to have the know how to analyse the possibilities and be creative until the point of thinking outside the box. Take a look on the images that we have for you. Don’t you feel like you have to take a part of each one to your wedding day? We really hope so! 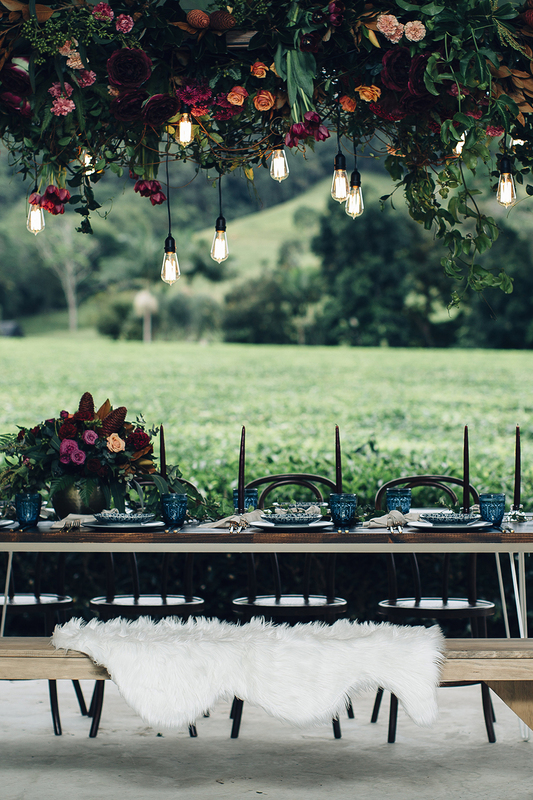 If you choose our wedding planning or styling service, we can bring to reality this and many other ideas. 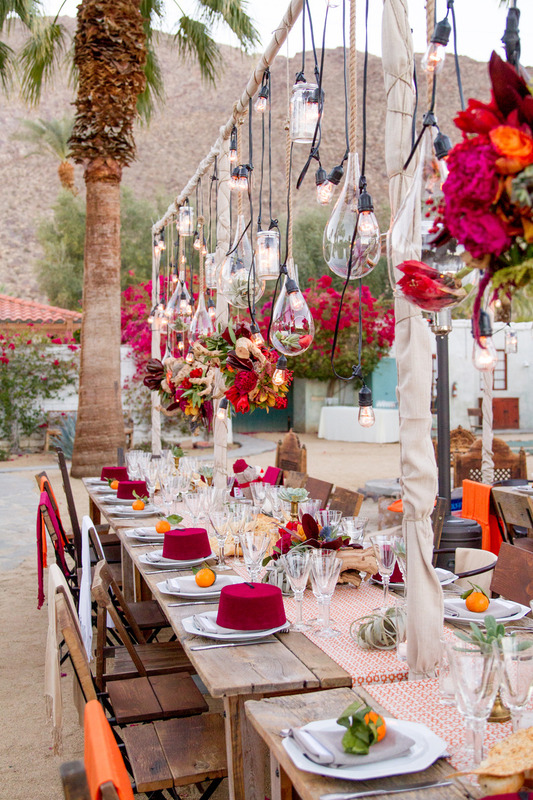 As wedding planners and stylists, we are all the times appreciating trends and looking for different and irreverent options, always with the focus on our brides and grooms and on what really suits them. 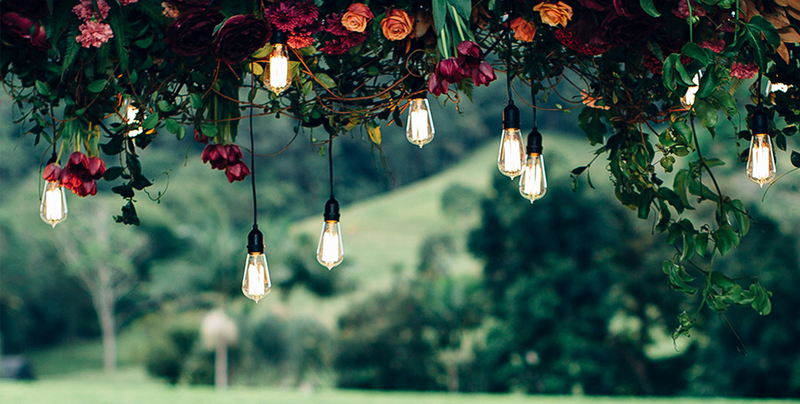 We believe that are details like this that will make your wedding unique and stunning. Let yourselves be inspired!